Technology and science continue to make the world a better place—we can’t lose sight of that core truth. How Does Facebook Affect “Outrage Culture”? The story of how science and tech will change our lives is one of the most important in the world. And no one’s more equipped to tell it than Nicholas Thompson. As the editor-in-chief of Wired, he is the first person to know—and investigate—both the technological and ethical developments as they unfold in Silicon Valley. He speaks at the cutting edge of digital innovation—championing tech’s role in making the world a better place. 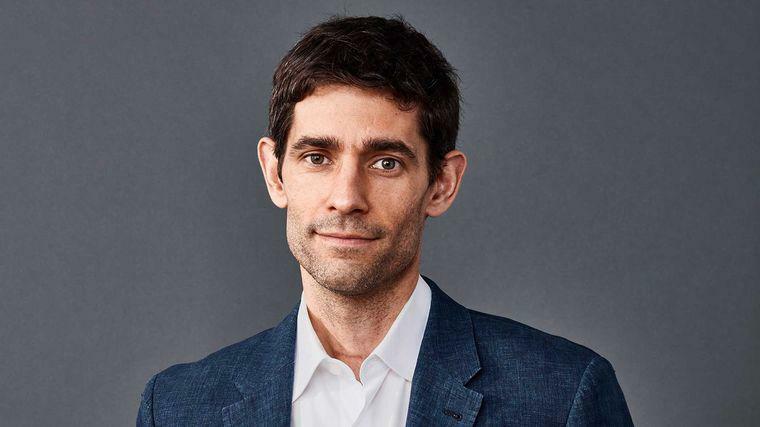 As the editor-in-chief of Wired—one of the most prestigious positions in the world of technology—Nicholas Thompson is staking out a bold, optimistic vision for covering, and responding to, the changing realm of digital culture. From artificial intelligence to entertainment, privacy to social media, ethics to war, Thompson leads the news cycle—and in talks, he champions the ways tech can enhance our lives, both as a quick-witted, brilliant keynote speaker and as a charming, provocative host. Earlier in his career, Thompson worked as a Senior Editor at Legal Affairs, as an editor at the Washington Monthly, and co-founded The Atavist, the National Magazine Award-winning publishing company. He has written on technology and politics for The New York Times, The Washington Post, The Boston Globe, the Los Angeles Times, Slate, Foreign Policy, The New Republic, The New York Observer, and other publications. He has appeared on Bloomberg TV, NBC, Fox News, MSNBC, ABC, NPR, and CNN, where he is a contributing editor, and CBS, where he is a news contributor. With a massive and vigilant following on social media, Thompson was named by LinkedIn as #4 on their 2018 list of top influencers, which included Richard Branson and Melinda Gates. He earned the 21st Century Leader Award from The National Committee on American Foreign Policy, was a Future Tense Fellow at the New America Foundation, and is a member of the Council on Foreign Relations. Thompson graduated from Stanford University, where he was a United States Truman Scholar. As Wired’s new editor-in-chief, Nicholas Thompson is committed to pushing the magazine to the forefront of technology. And as a veteran public speaker—a great explainer and entertaining moderator, comfortable with hosting, interviewing, or delivering keynotes himself—he’s uniquely situated to offer informed commentary on everything new and vital in this inexhaustible field. How will artificial intelligence and robotics change our devices, the way we work, earn a living, fight wars, solve problems—our very selves? How will privacy, security, and cyber-espionage evolve in the coming years of interconnectivity (and how much should the average person or company care)? How will the world’s dominant tech corporations—Apple, Google, Facebook, Amazon, Microsoft—interact with citizens, help write policy, and exert power over governments and citizens? And how can the media continue upholding the truth throughout, especially under an administration that’s declared war on journalists? No matter the subject—design, culture, media, tech, ethics, or our digital future—Nicholas Thompson is more than ready to break the news with big ideas and fearless takes. Modernizing one of the oldest and most pedigreed publications in the nation might seem like a tall order, but Nicholas Thompson was more than ready. Prior to taking the helm at Wired magazine, Thompson spearheaded a radical digital makeover at NewYorker.com, expanding the magazine’s online readership and ultimately increasing circulation in the print edition as well. How did Thompson successfully draw 25% more visitors to the storied magazine’s digital platform? While diversified social media and cutting-edge SEO strategies are all part of the plan, Thompson’s counterintuitive approach was to resist the trend of fast, disposable online media. “The main strategy for growing audience is to publish more, better stories,” he says. “The stories we’re prouder of, the stories we put more effort into, attract more readers” (Poynter). In an age when listicles and clickbait seem to hold court, Thomson’s illuminating keynote explores the “wonderful value in aligning your business model with your editorial model” (CJR)—and how consistently excellent content is the first action item in transforming digital platforms. When Wired was founded, it heralded—even celebrated—a coming revolution in technology. To new editor-in-chief Nicholas Thompson, that revolution has arrived—just not in the way he’d hoped. Today, despite its abundance, tech is still unevenly distributed across society, with disruptions already having a massive impact on previously dependable employments; our journalists face a new era of alternative facts and ‘fake’ news; Facebook users often sit in an algorithmic echo chamber of ideas; and a cynical suspicion of science means even expert consensus is cast into doubt. But, as Thompson argues, today also marks a critical time to protect Wired’s early vision: to “make sure science keeps going forward, that we can all agree on facts, and make sure all that information makes our lives richer” (CNN). In this keynote, Thompson discusses the ever-changing frontier of business and technology, science and design, from Silicon Valley to Wall Street—and how good design and the highest values can help ensure the digital revolution remains at the service of human beings. “Technology and science continue to make the world a better place,” Thompson tells CJR—and we can’t lose sight of that truth.